Claire Huber (MFA '18), Spring Awakening. Suzanne Morgan (MFA '19) works in the print shop. 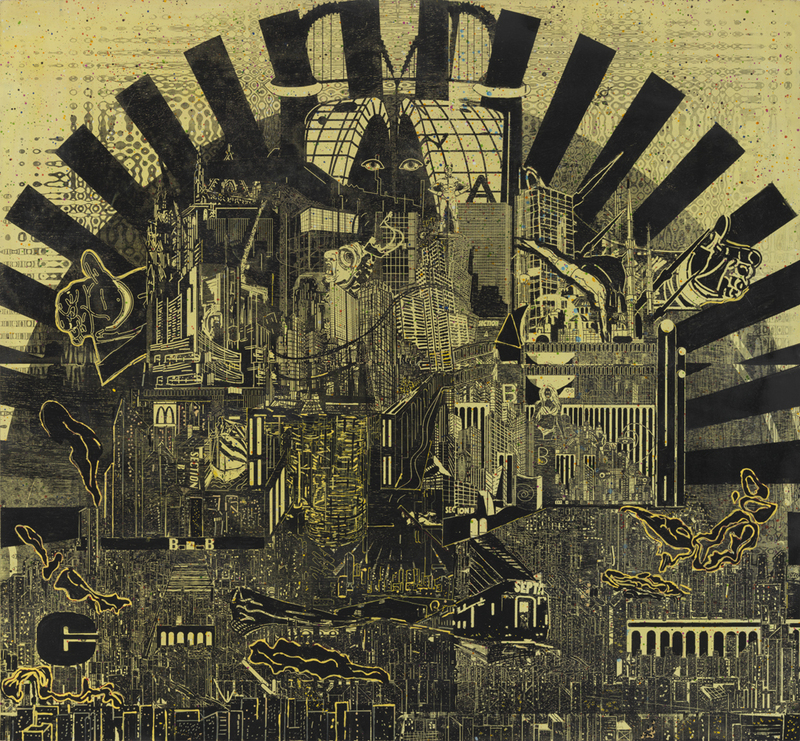 M Adil Ozturk (MFA '18), Welcome to Today. A graduate student in a critique with Drawing chair Renée Foulks. Calvin Pressley (MFA '18), Deconstructing the Experience of Existing. Jonathan Chase (MFA '16) in the studio. The options for graduate study at PAFA are interdisciplinary in nature and focus on individual artistic development. Studio practice is at its core and students work in a variety of media and pursue a wide range of interests. Students are encouraged to be independent, self-motivated, and open to new opportunities that arise from the process of research and art-making. Students’ individualized work is supported by studio and seminar courses and individual and group critique. The relationships you develop while working at PAFA will enrich your life and your art. One of the keys to PAFA's graduate programs is the school's location in the heart of Philadelphia. The second-largest city on the East Coast and fifth largest in the United States, Philadelphia has a thriving arts community with museums, galleries, co-ops, and cultural institutions all over the city. Philadelphia’s proximity to New York and Washington D.C. allows for day trips to experience even more. Graduate students enjoy a private studios with 24-hour access and are able to take advantage of PAFA's world-class facilities, not to mention the remarkable adjoining Museum with its permanent collection and special exhibitions. The low faculty-to-student ratio and one-on-one mentoring is our trademark. Our faculty’s diverse skill sets, from artists working in traditional modes to those working in new media expose students to a vast range of opinions, artistic expertise, and individual artists’ points of view. All PAFA faculty members are working artists and in a unique position to understand and nurture students. One of the key components of PAFA’s graduate programs, the Visiting Critics Program brings a roster of distinguished artists to campus three times each semester for one-on-one discussions with students about their work. This experience provides an invaluable opportunity for students to receive in-studio feedback on their work as it develops. 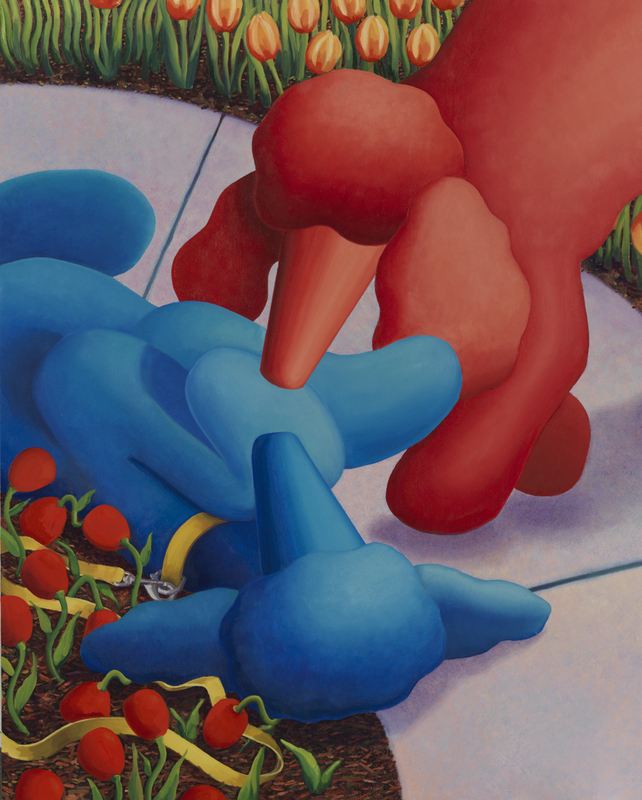 Artists in the Visiting Critics Program have included Colleen Asper, Charles Burwell, Vincent Desiderio, Titus Kaphar, Virgil Marti, Mika Tajima and more. 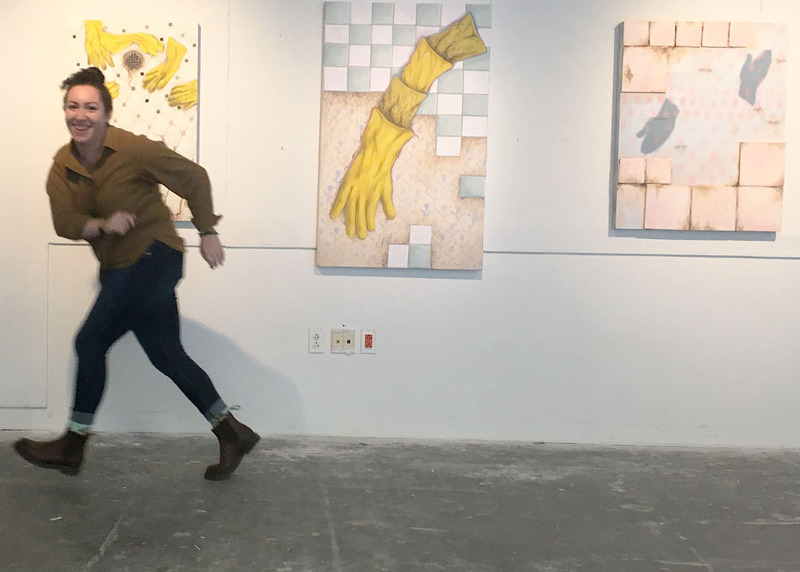 The student-run Visiting Artists Program selects and invites a wide variety of national and international emerging artists to the school, creating connections that can propel and inspire an artistic career. Visiting artists spend one-on-one time with PAFA graduate students and critique their work, allowing an unparalleled experience of interacting with established artists. 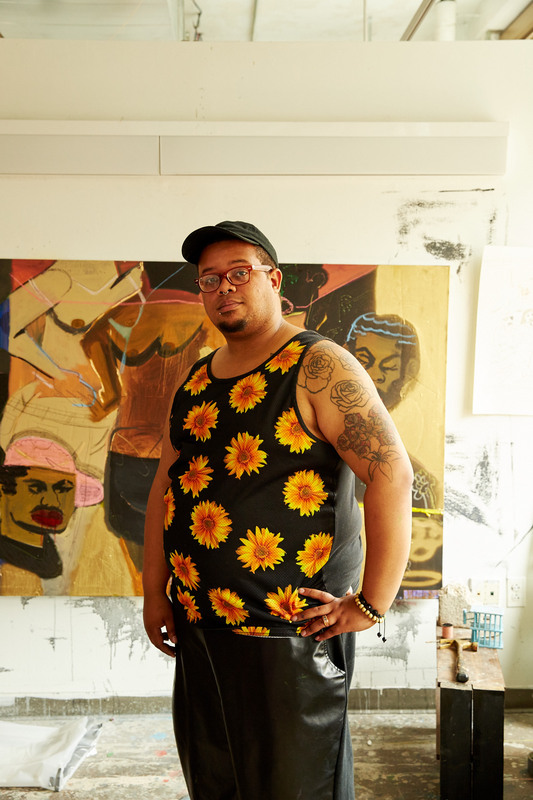 Past participants in the Visiting Artist Program have included Amy Sherald, Njideka Akunyili Crosby, Polly Apfelbaum, Eileen Neff, Gary Panter, and Zoe Strauss. PAFA’s Master of Fine Arts (MFA) program is an interdisciplinary, two year program. Students are not divided by discipline or area of study, but instead are encouraged to experiment and further discover their voice in various media. The MFA program culminates in a written and visual thesis; the latter of which is presented during PAFA's Annual Student Exhibition in the museum galleries. The curriculum is structured to help students improve their abilities to see and make while also broadening and deepening their conceptual framework and skills to discuss and write about art. At the core of the MFA program is an individual's studio practice, along with seminars in theory, contemporary art, writing, and professional practices. In their studio work, students are encouraged to be independent, self-motivated, and open to the new possibilities and ideas that arise through the course of making. Through experimentation, one-on-one discussion with critics, and group critiques, students develop their work and ideas into a sustainable, thoughtful artistic practice. Our program is not bound by the conventions and traditions of academic and technical systems, but is informed by them and aims to engage in a critical framework that strives for authenticity and open discourse. We privilege studio development, critical research, and professional practice. Our MFA candidates contribute to and benefit from a diverse community of artists, curators, writers, and problem solvers. 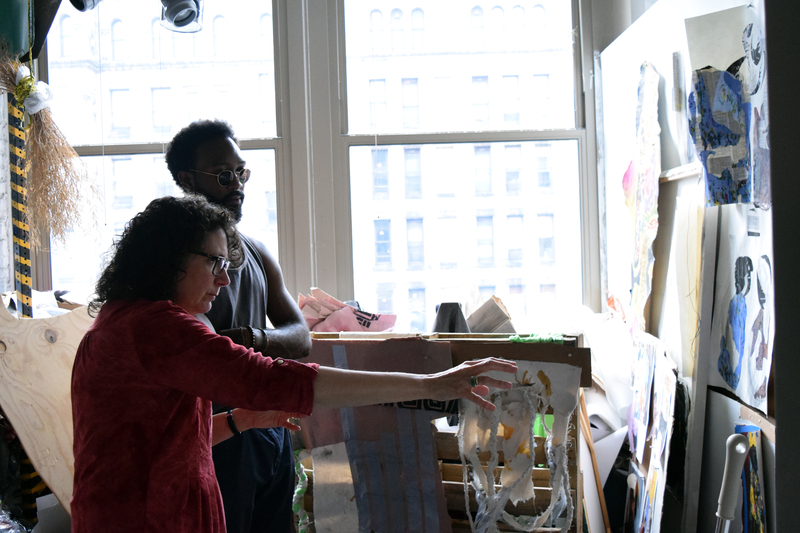 The Low-Residency Master of Fine Arts (Low-Res MFA) program is designed for students who desire the community, support and rigor of a traditional MFA, but with a more flexible structure to fit their lives and schedules. 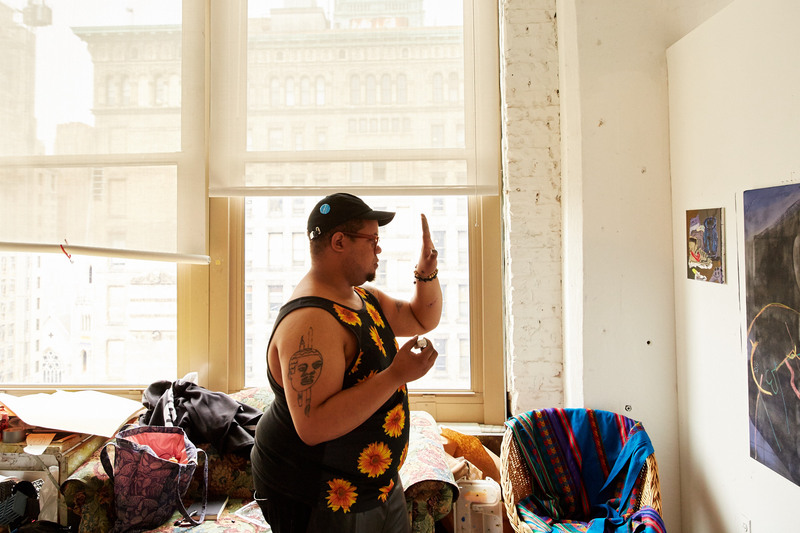 Similar to our traditional MFA, the Low-Residency program focuses on independent studio work and is interdisciplinary in nature, welcoming a wide range of approaches to art-making. The Low-Residency MFA gives students the tools to engage deeply and critically with making their work while thinking about their practice in relation to contemporary and historical art and ideas. The Low-Res MFA consists of on-site and off-site learning. At the program's core are three summer terms completed on-site at PAFA's campus. For these intensive, eight-week sessions, students have their own private studio and are engaged in independent work. Individual studio research is complemented by seminar courses, regular visits with faculty, group critiques, and an outstanding roster of visiting artists. During the Fall and Spring semesters, students are off-site, and supported by a vital online community with virtual studios, critic meetings and courses in art history, contemporary art, theory, writing and professional practices. The Post-Baccalaureate Certificate program is a one-year, full-time, 30-credit studio-based curriculum of graduate-level study in fine art. It is designed to fully immerse students in a rigorous graduate-level academic, critical, and artistic environment, where they can develop and hone their artistic practice and portfolio. The Post-Baccalaureate curriculum places an emphasis on experimentation, new media, and techniques, as well as class participation and collaboration. Consisting of nine one-on-one critiques with three different faculty per semester, the program also includes two seminars, a weekly group critique, and additional credits of MFA studio courses. The majority of the time students are expected to be in their studio, making work on their own. Students in this program are able to take full advantage of PAFA's Visiting Artists Program, and are frequently able to sign up for individual one-on-one critiques with Visiting Critics from the MFA program. There's a place for any kind of artist at PAFA—here are their stories. 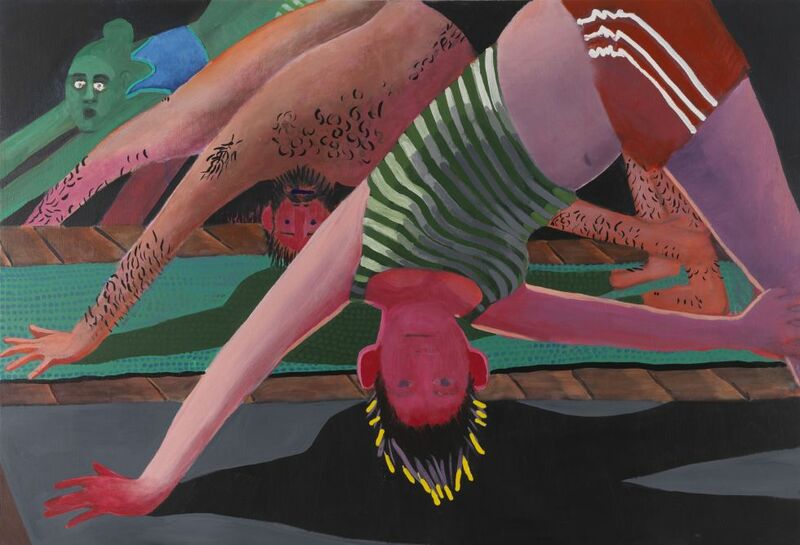 “I had my professors telling me that Philly is such a great place for emerging artists. They talked about all of the opportunities that you’re not going to get right away in New York.